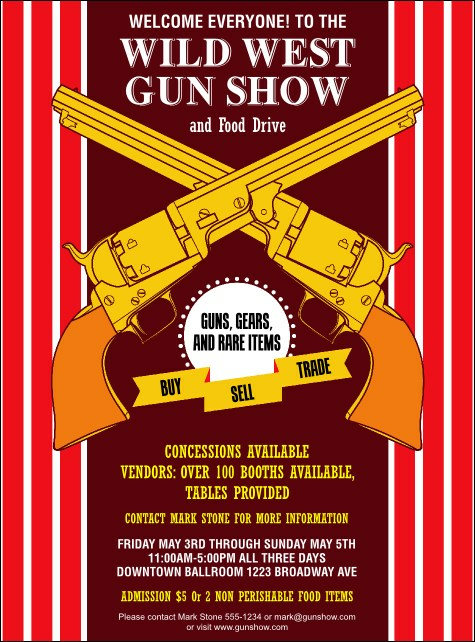 Aim for your attendance target and distribute the Gun Show Flyer before your event. This red and gold themed design features drawings of two guns crossed in the middle, with nineteen lines for event details. Pair this template with coordinating tickets, invitations, and posters in an Event Kit. Approximate dimensions 8.49" by 11.46"